Jackie Connors co-founded The Connors Group in June, 2001 and has been pivotal in building this premier IT staffing organization that serves clients in the areas of executive search, staff placements and consulting services. Jackie has over 20 years experience placing IT professionals, with the past seven years focused on information technology and eCommerce executives within the retail and apparel markets. Jackie believes that building solid relationships with clients and candidates is the key to success. She always takes the time to listen, because she is truly interested in the needs of her clients and candidates. That's also how she has built her in-depth market knowledge and extensive network of contacts. 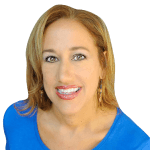 Prior to founding The Connors Group, Jackie was a Managing Partner at Jesse Garon Associates, where she became an expert in developing high-production recruitment strategies. Her methods utilize strategic sourcing as well as extensive networking to qualify and assess information technology and upper level management candidates. She is creative in her approach, which yields her clients the results they are looking for.